Timbers award-winning visual effects team contributed their masterful artistry to H&R Blocks latest tour de force campaign, a series of spots that take viewers from rural plains and battlefields to bank heists and star-lit romances, each with Jon Hamm at the center. 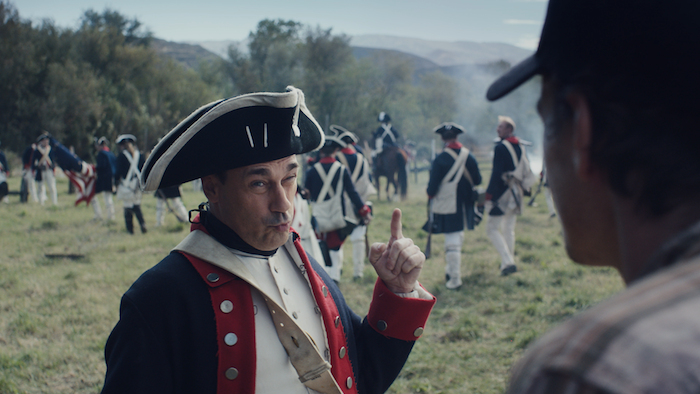 The highly comedic campaign is orchestrated with a film-within-a-film format, where Jon Hamms character changes a scenes dialogue to reflect the benefits of H&R Blocks services. Timber was founded for the sole purpose of creating compelling content for clients. We put design first and strive to look at each project as a unique opportunity to make something memorable. From design and illustration to visual effects and finishing, our collective experience draws from a wide range of disciplines. Timbers talented team honed their skills at some of the most respected design and postproduction companies in the industry, including Superfad, Digital Domain and Mirada. Our goal is to help our clients fully realize all their creative endeavors.